Sri Lanka Freedom Party General Secretary Parliamentarian Dayasiri Jayasekara said that disciplinary actions will definitely be taken against their members who support to form a National Government. He was addressing media at the SLFP headquarters today. Jayasekara added that the United National Party is going to form a National Government to settle certain disputes with the party. But there are no ulterior motives with the UNP to serve the nation by forming a national government. Therefore party level actions will definitely be taken against the SLFP members, who assist the UNP to form a National Government. 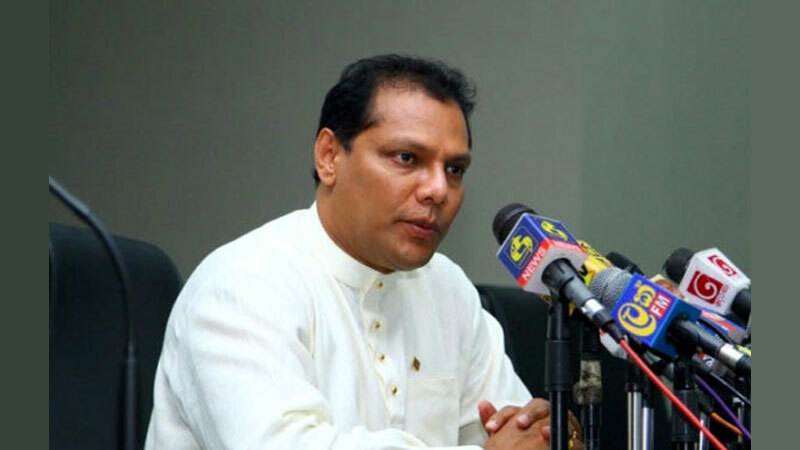 “Both the members of the SLFP and the UPFA should cast their votes against the UNP National Government proposal and therefore if violated, disciplinary actions will definitely be taken against such parliamentarians”, he stressed. United national Front (UNF) wants to increase the number of cabinet portfolios to 45 by forming this so called National Government to settle internal disputes. The people of the country will receive no benefits by a National Government but receive the burden of maintaining of a large Cabinet. While speaking on the public address of the President on the Independence Day Dayasiri said that the President concentrated on the plus and minuses of the Good Governance government during the last five year period. According to Jayasekara, while delivering the speech the President has said that he could eradicate the state terrorism completely. However he said that he cannot be satisfied with the measures taken to wipe out fraud and corruption during this time. The President has added that he was regret since his failure to implement a proper mechanism to wipe out fraud and corruption. “Besides, speaking further the President paid his attention on the topic of a National Government, which forwarded by the United National Party. As the general practise a National Government should consist of a main political party and several other parties” he said.